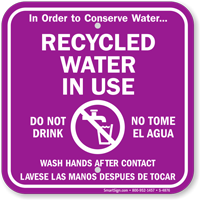 Bilingual messages work best for multi-lingual audiences. 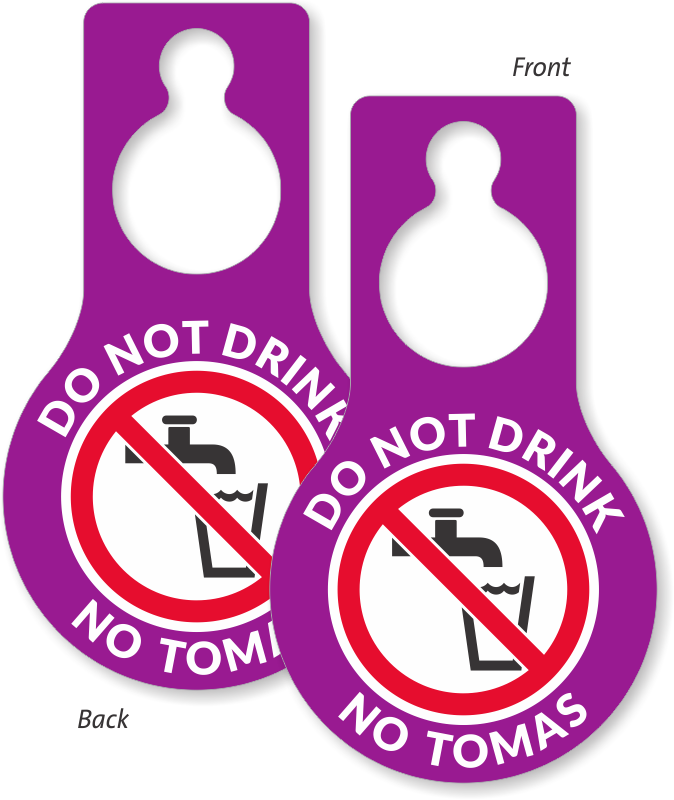 This Pear Shaped Plastic Door Hang Tag features an important message—Do Not Drink—in English and Spanish, both. Pear-shaped, 15 mil thick vinyl. 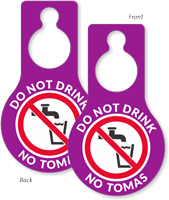 Bendable, with center cut-out for handle. Write on surface with pen or permanenent marker. Pear-shaped, 30 mil thick vinyl.